laying slots online is not at all a complicated thing to do. The real way to looking at how to play slots online is understanding the different type of games and then deciding which ones you like best. From there you need to decide what your gabling budget will be and stick to it! A big part of playing slots online is money management as it can be the difference between a positive experience and a negative one. There are many types of slots offered online. You will find classic slots, the latest video slots, progressive slots , pub style slots and more. These include single line, multi-line and the newest now include hundreds of lines. The difference with hundreds of paylines online is you are not wagering a nickel on 243 paylines but are placing a single wager that covers all the lines. This is more cost effective for you as a player and can return some decent, if not incredible results. When selecting a slot to play you need to consider a few things. How do the graphics look, are they clear, up to date, include animated graphics, how are the sounds and what kind off bonus features are included in the game. A smart slot player will look in detail at the slot they are thinking of playing and know the in’s and out’s prior to spinning the reels. It is good to check the paytables as each slot will have different payouts for certain combinations of symbols. Some are higher variance slots – meaning that they include some huge wins but take longer to hit and the other payouts tend to be smaller overall. There are others who payout more frequently but those payouts are smaller with the larger wins coming less often. Remember to also always start at the lowest amount that you can bet per line until you get a good fell of the slot. This will also allow you a great chance to hit the bigger wins and walk away with a profit. While you will often not walk away with a profit there are some ways to increase your odds of doing so – even with slot machines. First begin as we said with smaller bets and once you have increased you cash balance and only then increase the amount you are betting. Do not always wager the exact same amount. 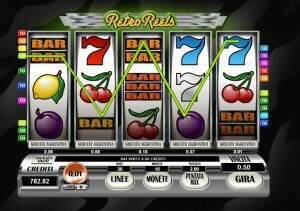 Online slots use a random number generator so therefore each spin of the reels can award a sizeable win. Try fluctuating the amount you bet. It is best to always play the maximum lines in order to avoid that horrible feeling of missing a payout on an inactive payline. Last but not least – walk away and cashout after a big win. It may not even be a huge win and only a few hundred dollars but it is still a win that you can use another day to play the slots. There is no need to sit for hours and play when you can play another day. Learning self-control will have a huge impact on the amount of fun you get when you play online slots.